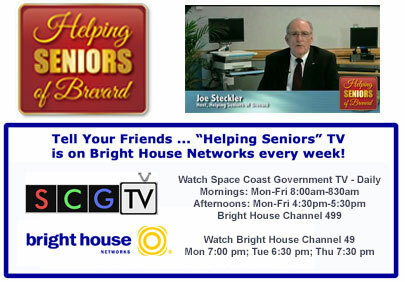 Join Helping Seniors of Brevard President, Joe Steckler, each week for the “Helping Seniors” Television program airing throughout Brevard County on Bright House Networks. Joe has been a favorite presence and familiar face on the Bright House Networks TV for many years. He provides insightful information to help seniors….